We offer a range of standard design format filter housings designed to accept industry standard type filter bags. 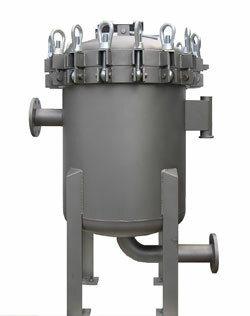 Bag filters are used typically for high flow rate applications where quick and simple filter bag changeout is required. Bag filters are unable to offer the same level of efficiency and degree of fineness that can be achieved using a cartridge filtration system. However when it comes to volume throughput and cost of operation then very little can beat a bag filter installation. 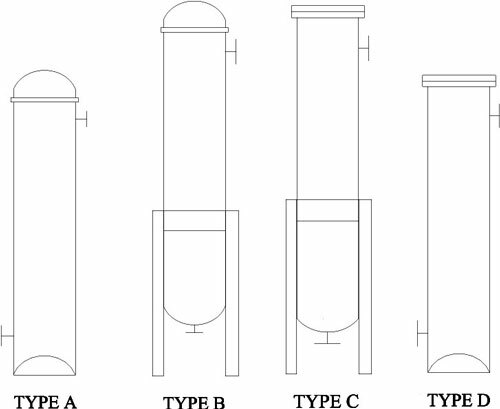 We offer a range of bag filter housings that are designed to accept the main industrial range of bag filter sealing mechanisms, whether it be the simple wire neck ring or the more complex and more efficient moulded style of neck ring, we will have a vessel to suit. At the smaller end of the vessel range we have units available in either stainless steel or moulded polypropylene. These have connection options normally up to 1" BSP thread and will accommodate flow rates (viscosity =1cP) up to 5 cu.m/hour. In the intermediate range we have industry standard single, double and triple length vessels which will accept either standard 7" diameter steel wire neck rings or moulded neck seal design. These vessels will accommodate flow rates up to 50 cu.m/hour, the single and double length units are available in 316L stainless steel or glass fibre reinforced polypropylene. 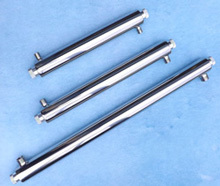 The larger triple length unit is available in 316L stainless steel only. 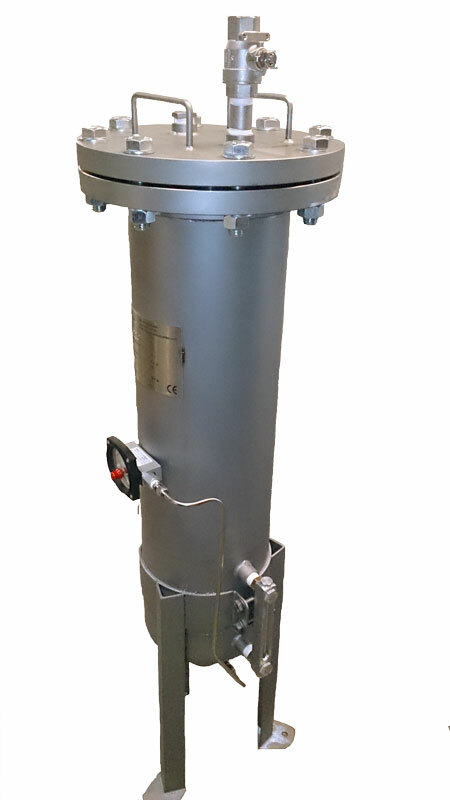 For higher flow rate capabilities we offer vessels that contain a multiple number of filter bags ( multi pods) with up to 12 double length bag units available as standard designs, and even larger units able to be manufactured to special design. 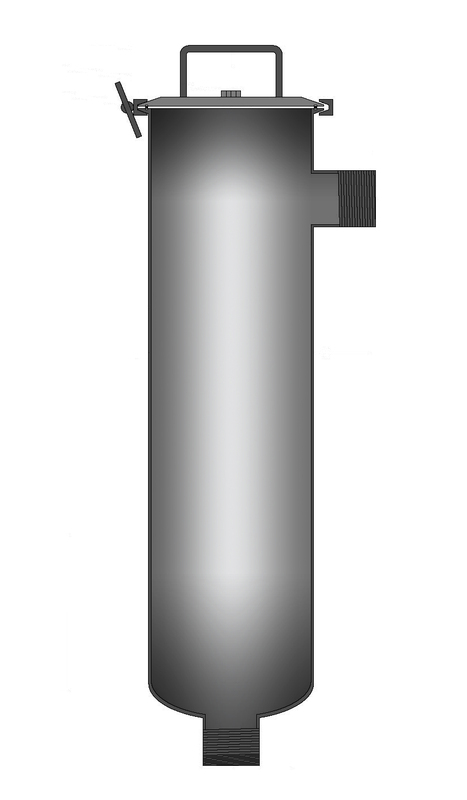 Whilst not all designs are required to be manufactured to gain CE marking to comply with PED, there are options within the range that will be CE marked signifying their suitability for use with all Group 2 Fluids and gases and all Group 1 fluids except those classified as oxidising or explosive. To complement the vessel range we offer a range of filter bags that give nominal filtration ratings in the range 0.5 microns up to 1mm (see bag data for specific materials and micron ratings. For large flow rates we offer filter housings that contain multiple filter bags. 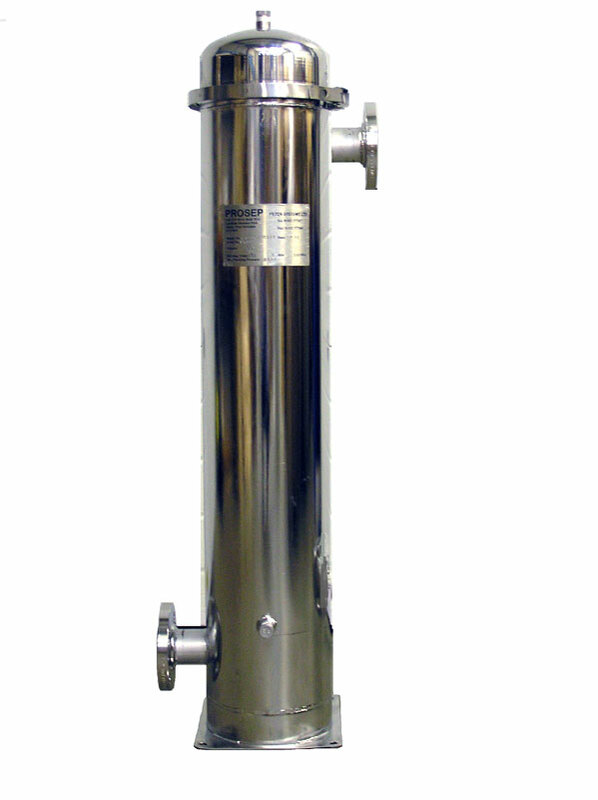 For lower flow rates we have a range of 'Mini' bag filter housings. Connection sizes up to 2"and flow rates to 5 cu.m/hour.